The other day it was announced that superbantam Zsolt Bedak had signed a promotional deal with Felix-Promotion in Hungary and would resume fighting after two years off. However, younger Pal (pictured) is about to leave boxing. Pal was like his brother an amateur standout participating in the 04 Olympics, and finally turning pro with Spotlight Boxing late 2008 and built a 8-0 record through 2010 when Universum / Spotlight cut down its promotions due to the lack of TV. Pal, only about 5ft and a flyweight, fought in a style that reminded ringsiders of a young Mike Tyson and had the best yet to come. Emiliano Marsili, 25-0-1, vs Luca Giacon, 21-0, for the vacant EBU lightweight title is now on for Civitavecchia, Italy, March 9. The fight was first set for February 16 but Marsili injured his left hand which forced the promote, RoundZero, to postpone the fight but after intensive therapy Marsili is now said to be ready to resume training . The undercard features welter Daniel Petrucci, 29-1-2, and supermiddle Giovanni De Carolis, 19-4. The event goes out live on Sportitalia. EBU jr lightweight champ Devis Boschiero´s, 32-1-1, voluntary defence against Frenchman Samir Kasmi, 15-9-2, has been postponed from March 9 to March 23 with site Padova, Italy. EBU feather champ Alex Miskirtchian, 22-1-1, fresh off an impressive last round stoppage of tough Norwegian challenger Andreas Evensen, 17-3-1, last weekend, will now enjoy a two week break before resuming training with a fight lined up later in the spring. If all goes well Miskirtchian will defend the title after the summer or fight a final WBC eliminator. 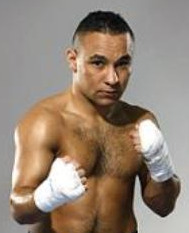 -The result of the fight against Evensen was as we had expected, says promoter Alain Vanackere, but Evensen had more stamina, guts and technical skills than we had anticipated.